The Tour Edge HL3 undercut cavity irons provide more stability, higher launch angle, enhanced forgiveness and great feel on every shot. 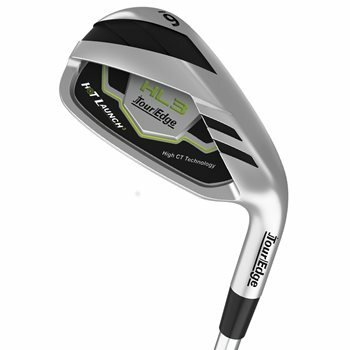 The HL3 irons have a soft 431 stainless steel design and advanced toe weighting that elongates the sweet spot for unsurpassed forgiveness. The progressive undercut cavity design moves weight back and low for higher-flying, accurate shots while the variable face thickness delivers exceptional feel and power even on off-center hits.